The Schooner Curling Club is dedicated to developing the sport of curling in our community in a friendly and social atmosphere. Curling is a great sport for people of all ages and physical abilities and offers a winter past time that provides not only great fun but healthy exercise as well. 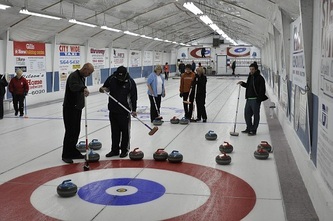 After a spirited game, relax in our heated club and enjoy a refreshing beverage with your curling friends. Where else can you find this much winter fun for such a low price? Only at the Schooner Curling Club. 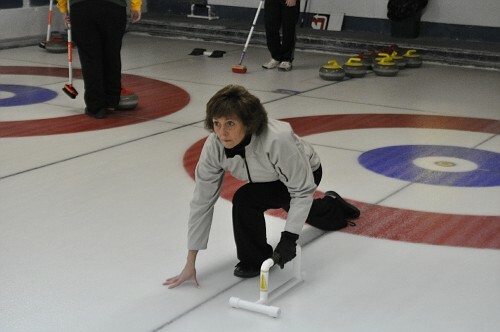 So why not start curling today. Contact the club today for more information. 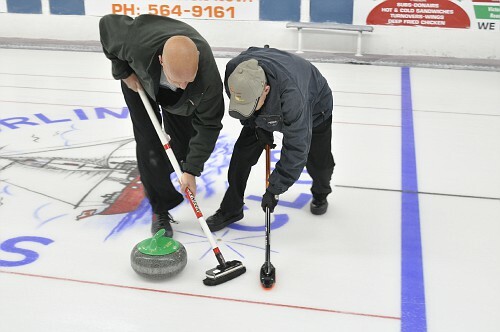 Still not convinced curling is for you. Why not give it a try at one of our Fun Nights. You not only get to experience the fun of curling, you also get pizza and maybe even a chance at great prizes, all for the low low price of only $7. We will even provide you with instruction and all the equipment you need. Just bring some clean, dry shoes for the ice area. Once you try it, you'll be hooked. For More information contact the Club. Junior and Little Rocks can contact Nadine.